Welcome to Xtreme Hike Yosemite 2019. Xtreme Hike is about reaching new heights – physically and philanthropically. It’s a journey of passion, determination and personal triumph, as much as it’s an opportunity to make a difference in the lives of people with Cystic Fibrosis. This year, the Sacramento Chapter is excited to join efforts once again with the Northern California Chapter for Xtreme Hike Yosemite 2019! Join us on this amazing journey to see new sights and climb to higher heights. Xtreme Hikers raise funds and awareness for the CF Foundation’s mission to find a cure for cystic fibrosis. 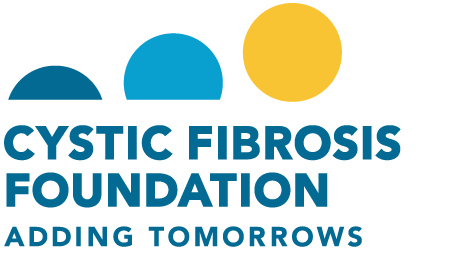 Hikers will train for three months to prepare for this amazing journey and will commit to raise funds to benefit the Cystic Fibrosis Foundation. All hikers are provided with all the tools needed to reach their goals, both on and off the trail. In just one day, a dedicated team of Xtreme Hikers will hike to the top of El Capitan at 7,500 feet in elevation. This is a total of 22 miles roundtrip with ~4,500 feet elevation gain. The hike begins by traveling on the Yosemite Falls Trail to the top of Upper Yosemite Falls. Then, will take take a side trip to Yosemite Peak. After Yosemite Peak, will continue on to Eagle Peak before reaching El Capitan. “Xtreme” means something different to everyone—our guides have crafted an additional route utilizing a turn around after Yosemite Peak, offering a 10 mile hike with 3,000 feet elevation gain (in 5 miles up). Both routes will include vistas of Yosemite Falls, Half Dome, Yosemite Valley and other iconic landscapes. As the name states, this is a challenge of xtreme proportions. For many, you are committing to hiking further and raising more money than you have ever done before. As participants prepare for the physical challenge, hikers are encouraged to raise $2,500 through their personal and social media campaigns. Not to worry, we are here to support you every step of the way! Let's lace up those hiking boots and . . . . Hike On! What makes the Sacramento Xtreme Hike Unique? On Hike weekend you will embark on a trail specially designed for our group by YExplore, keeping challenge and experience in mind. YExplore will also guide our group, leading them safely throughout the trail from beginning to end. Xtreme Hike is topped off with a finishers’ dinner Saturday evening and a victory breakfast and awards ceremony on Sunday morning. You will not want to miss this opportunity to meet like-minded individuals and challenge each other to help cure cystic fibrosis one step at a time! The journey starts the moment you sign up. You will receive personal coaching, participate in training hikes and connect with a community of people who share your aspiration to reach new heights. Learn about Xtreme Hike events across the country. Hikers ages 18 and up may participate. Click here to read the full Hiker Age Policy. Each volunteer helps make Xtreme Hike an incredible event. Would you like to join the volunteer team? Do you have a friend or loved one who may want to be part of this effort as well? There are many skill-enhancing and fun volunteer opportunities to experience. Every volunteer makes a powerful impact, helping to raise awareness and funds in the CF Foundation’s quest for a cure for this disease. Medical evidence shows that germs may spread among people with CF through direct and indirect contact as well as through droplets that travel short distances when a person coughs or sneezes. These germs can lead to worsening symptoms and speed decline in lung function. To further help reduce the risk of cross-infection, the Foundation’s attendance policy recommends inviting only one person with CF to attend the indoor portion of a Foundation-sponsored event at a specific time. For the outdoor portion, the Foundation recommends that all people with CF maintain a safe 6-foot distance from each other at all times.